UK’s financial markets and service providers regulator FCA (Financial Conduct Authority) has added one more forex broker to its warning list of unauthorized companies. This time it is a Utrade broker. FCA doesn’t usually provide a lot of information about the blacklisted company, except that it offers its services to the UK residents, but doesn’t appear to be licensed by the regulator, as it is required. 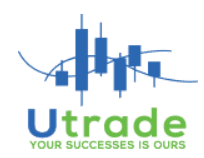 The broker UTrade operates through the website www.utrade.online and offers trading in both currencies and CFDs, including stock indices and commodities. The company is owned and operated by Callpointltd s.r.l., based in Romania, Bucharest. The website provides information about “affiliates centers” which means “offices around the words”. According to this info, the broker has offices in US, UK, Germany, Australia, France, Italy, Hong Kong and Japan and is regulated to provide financial services in each of the mentioned countries, listing the regulator such as National Futures Association (US), FCA (UK), BaFin (Germany), ASIC (Australia), CONSOB (Italy), SFC (Hong Kong). There is one tiny discrepancy on the website – the broker is not actually registered in any of the mentioned countries by any of the regulators. The firm also claims to be a leader in online Forex trading and provides the list of its forex awards such as Best Forex Provider 2017, Best FX Broker 2017, Best FX Execution 2017 etc. After checking this info with the reliable sources, we can reassure you that UTrade has never been nominated or gotten any of these awards. We recommend to stay away from the unregulated brokers and pay more attention to the reliable and licensed ones. All the warnings from the regulators are meant to protect the public from the fraudulent unlawful financial activity. You can read our review on this broker here.